The American military experience in the Asia-Pacific region has been based since its inception in the late 1890s on a joint and expeditionary footing. The U.S. Army has maintained a constant presence since then, fighting in more campaigns in that part of the world than anywhere else outside the Americas. The Asia-Pacific remains, as it was in the 1800s, one of the world’s most important, dynamic and challenging regions. Its importance was shown by a U.S. Defense Strategic Guidance, signed by President Obama in early 2012, directing a national refocus of effort—or “rebalance”—toward the Pacific, with special emphasis on preserving peace and stability. Implementing this Pacific-focused strategy has increased the importance of military relationships and activities in this region, placing U.S. Army Pacific (USARPAC) on the leading edge of demonstrating our nation’s continued commitment in the Asia-Pacific—a unique position replete with myriad challenges and opportunities. Major subordinate commands and theater-enabling commands from the Middle East have returned and are dedicated to the Pacific Theater. Elevation to a four-star command allows headquarters to function at the strategic level while subordinate commands focus on operational and tactical functions. Eighth U.S. Army in Korea converted to a warfighting role while U.S. Army Pacific became the sole Army service component command responsible for training, organizing and equipping forces. 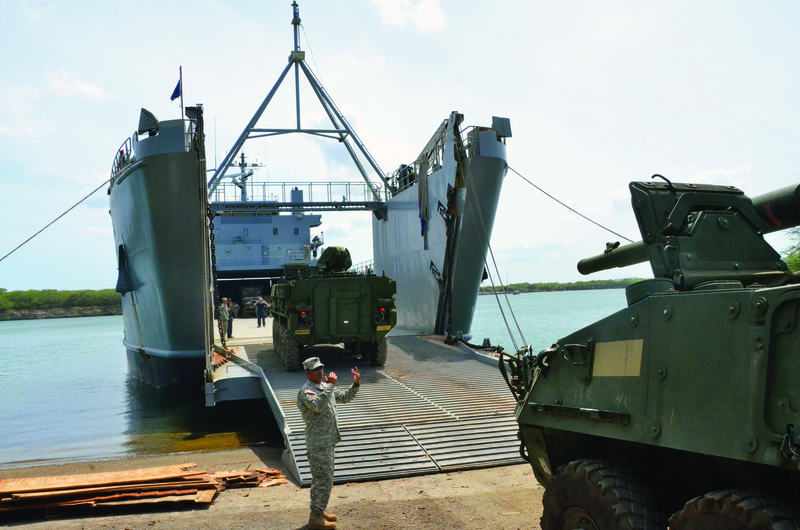 To provide a robust set of capabilities, many unique to the U.S. Army Pacific Command (USARPAC) has been designated Theater Army Headquarters and a Theater Joint Force Land Component Command. This has expanded its scope of responsibilities. Provide ready forces and capabilities to meet requirements throughout the region. Set the theater for security and stability. Enhance Army air and missile defense capabilities. Streamline command relationships within the Pacific Army. Build ties with regional armies and major land domain stakeholders within the local joint community. There are noteworthy challenges and opportunities for USARPAC contained within this landscape, along with major initiatives in response. Over the past decade, USARPAC was narrowly focused on supporting combat activities in Southwest Asia and meeting urgent short-term readiness goals for the Army. 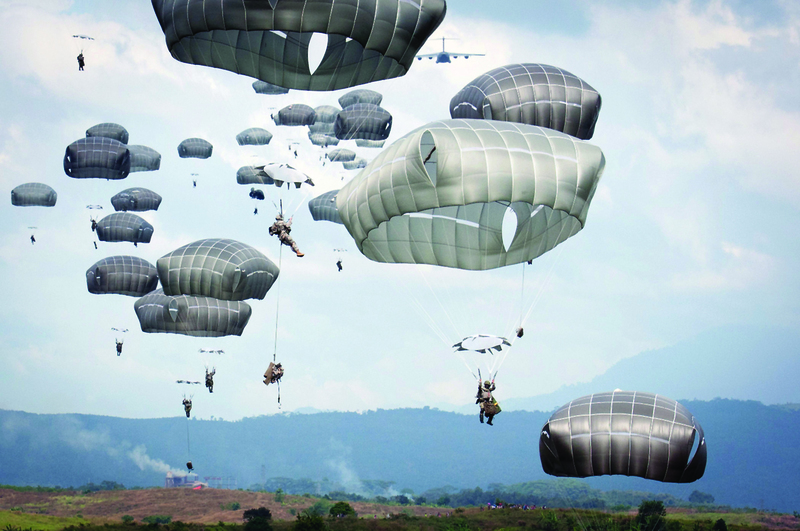 Now it must shift its sights toward long-term readiness in support of the joint force. A joint perspective is especially vital now, given the four-star commander’s designation as leader of the Theater Joint Force Land Component Command. The role of U.S. ground forces in the theater has expanded from primarily supporting combat operations in Northeast Asia to a broader regional function centered around deterrence and engagement. Soldiers must not only be ready to “fight tonight” in Korea but also to help address conflicts and contingencies elsewhere, such as disaster relief in Southeast Asia. Achieving a set theater to successfully address this enhanced mission will require an appropriate reposturing of land domain assets throughout the Asia-Pacific. stationed) assets and dynamic (or rotational) assets are necessary for a properly postured force. Statistics show why the Asia-Pacific region is so important to U.S. national security. Stretching from California to India—what some call Hollywood to Bollywood—this region is culturally, economically and geopolitically diverse. It contains the world’s three largest economies, the world’s four most populous nations and six of the world’s 10 largest standing militaries. Sixteen time zones are contained within this region. It takes up about half of the Earth’s surface and includes more than half of the planet’s population. The Asia-Pacific region is home to five nuclear powers, nine of the globe’s 10 largest ports, the world’s largest democracy and the largest Muslim-majority nation. More than 3,000 languages are spoken there. It is an area with many challenges, including pirates and terrorists, trafficking in humans and illegal drugs, natural disasters and environmental pollution, and the legal and illegal proliferation of weapons. The area is rife with instability: Territorial disputes, regional flash points and sometimes belligerent actors are all present within its confines. General stability in the region following World War II set the stage for Asia’s remarkable industrial progress during the last three decades. This shared prosperity led to the ongoing era of relative peace, devoid of the failed states and imploding regimes of the Middle East. The Asia-Pacific region is often perceived as a mainly maritime mission, despite the magnitude of the large land mass. Defense establishments in the region generally place special emphasis on threats from the land domain. The ability to control the land domain and influence the human domain through strategic landpower, no matter the maritime geography, is essential to security and stability in the region. The enduring imperative for a capable, flexible and committed U.S. Army presence is self-evident. Today’s fiscally constrained climate demands operational cost-effectiveness from units at all echelons. Reduced budgets are leading to a limited number of forces that can be trained to reach the highest levels of readiness, potentially degraded prepositioning of war stocks, headquarters staff decrements, scaled-back security cooperation and exercise programs, and facilities lacking modernization. This requires the Army to leverage already available assets and employ forces in a different, more efficient manner. After the long wars in Iraq and Afghanistan, there is presently little political appetite for large-scale land force actions. As a result of this dynamic and evolving regional threats, the Pentagon’s focus has shifted toward the air and maritime domains, as evidenced by the emergence of the AirSea Battle operating concept, which seeks to neutralize enemy capabilities to keep U.S. and allied forces at bay through anti-access and area-denial defenses. The Pacific Army possesses capabilities and options found nowhere else to achieve rebalance goals. These provide tremendous opportunities to contribute to the joint force. 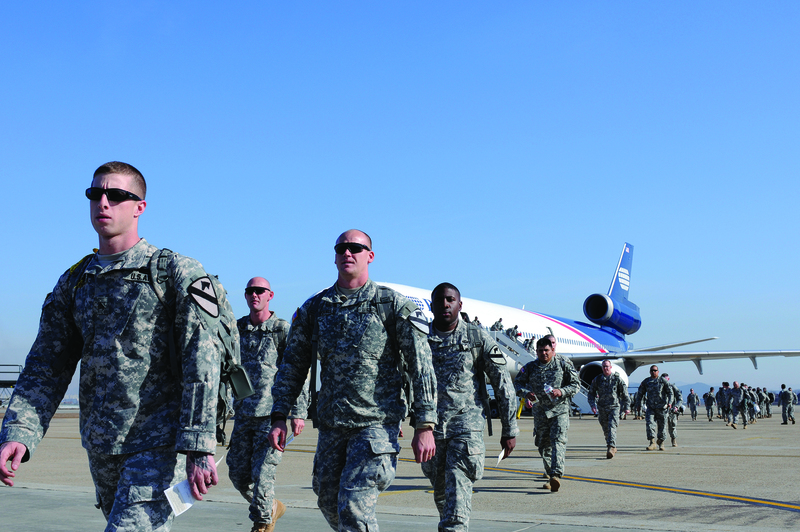 Unique functions such as Army support to other services and executive agency tasks are vital to the success of campaigns, not only in the land domain but also in the air, maritime and space domains. This includes functions like chemical decontamination, psychological operations, security of communications lines and defense of forward operating bases. In addition, the designation of a Theater Joint Force Land Component Command presents a unique opportunity for USARPAC to have incredible impacts on a very complex land domain. Specialized capabilities, such as civil-military operations, medical, information technology and logistics enable persistent, sustainable engagement on land. Expanded access to influential army leaders of the region afforded by USARPAC’s elevation to four-star command. Increased demand for partnership by other nations in the region; increased engagement activity on the part of China. Air and maritime domains contain many potential areas for friction (such as air defense identification zones), but the land domain is generally free from such encumbrances, providing many opportunities for U.S. land forces to engage regional counterparts on noncontentious issues such as humanitarian assistance/disaster relief. A program that has been capitalizing on all the factors above and steadily developing in the past few years is USARPAC’s disaster management exchanges with the People’s Liberation Army of China. Procurement and employment of ground-based anti-ship missiles for use in coastal defense and interdiction of warships. Contribution to USPACOM’s role in the emerging AirSea Battle operating concept by enhancing the capabilities of USARPAC’s aviation forces in maritime environments. In support of these ideas, USARPAC is employing its aviation community of interest and actively collaborating with the AirSea Battle community of interest in developing and implementing this operating concept. Given the importance exercised by its land domain, the requirement for strategic landpower in the Asia-Pacific region will endure. Regional armies will remain significant actors while U.S. land forces will continue to be the linchpin for military engagement in the theater. USARPAC will be required to concentrate on shaping the regional environment with partners through access and influence at the national strategic level, and setting the theater to deter and respond to aggression as necessary on behalf of USPACOM through a smartly postured and ready force. USARPAC’s aspirations and strategy to execute this two-pronged approach should be tempered and influenced in part by what the command can sustain fiscally. Such prudence is a crucial consideration in this climate of shrinking budgets and calls for maximized use of resources. USARPAC must change the way Army forces are employed in the Pacific; it can no longer afford to resource units to attain the highest level of readiness and then put them on the shelf to be used only in the event of war. Instead, they must be available for all contingencies. Since the theater is not yet set, USARPAC will have to revamp its strategy to better align force posture for the full range of military operations. This will require creative ways to place and move forces and equipment throughout the theater without additional overseas basing. USARPAC anticipates an increase in aviation, both manned and unmanned, fully integrated with air assets of the other services in support of AirSea Battle operations. Persistent land-based missile defense must be increased to protect critical infrastructure, build partner capacity, and demonstrate U.S. resolve and commitment to regional partners. USARPAC will have to continue working with the other service components, synchronizing actions to enable true interoperability, achieve synergy and avoid redundancy. Vital to success will be gaining a deep understanding of the nature of strategic landpower and a keen appreciation of what each service can deliver as a member of the joint team. The nine-month deployment of a Fort Hood, Texas-based Cavalry battalion to South Korea is one of the signs of the Army’s new strategy for Asia and the Pacific. More than 800 soldiers from the 1st Battalion, 12th Cavalry Regiment, 1st Cavalry Division (1-12 CAV), arrived in South Korea in late January as part of the Army Force Generation rotational plan to increase theater readiness and maneuver capabilities. This was the first deployment of 2014 for the new plan and the second since the program was announced last year. This rotation has been planned for some time and is not the result of any recent actions by North Korea. The combined arms battalion will be attached to the 1st Armored Brigade Combat Team, 2nd Infantry Division. (The “Second to None” division is the only permanent forward-deployed division in the U.S. Army.) Elements of the battalion and portions of its equipment will be stationed at Camps Hovey and Stanley, about 20 minutes south of the heavily fortified Demilitarized Zone separating North Korea, the Democratic People’s Republic of Korea, from South Korea, the Republic of Korea (ROK). The battalion arrived fully trained and in the ready phase as part of the force generation process. The addition makes the division a more agile and lethal force that is even more capable of deterring enemy aggression and defending, if necessary, the ROK alongside its native army. The deployment is part of the United States’ rebalancing efforts within the Asia-Pacific region, and it allows for greater responsiveness to better meet operational needs. 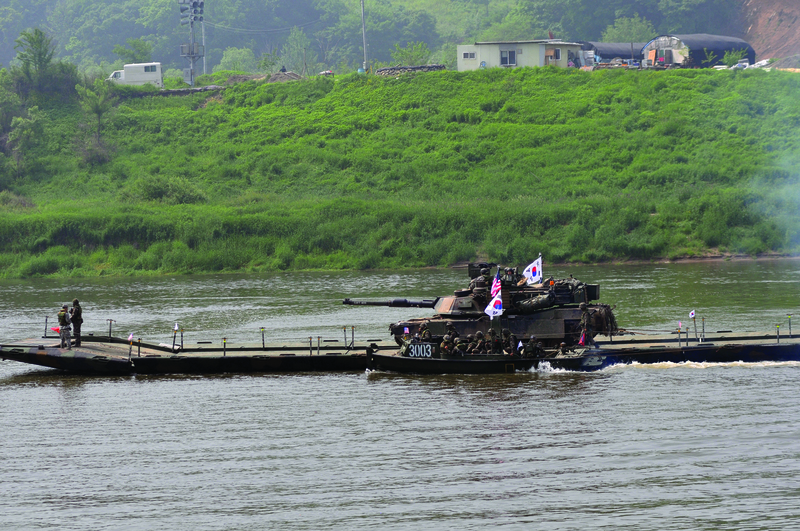 Integrating rotational units within the 2nd Infantry Division is strictly defensive and designed to increase the readiness and strengthen the capabilities of the ROK-U.S. alliance. “They give us a diverse mix of rapidly deployable capabilities, which in turn give us more options for a broader range of possibilities as we stand shoulder-to-shoulder with our ROK brothers-in-arms to deter aggression on the peninsula,” Vandal said. 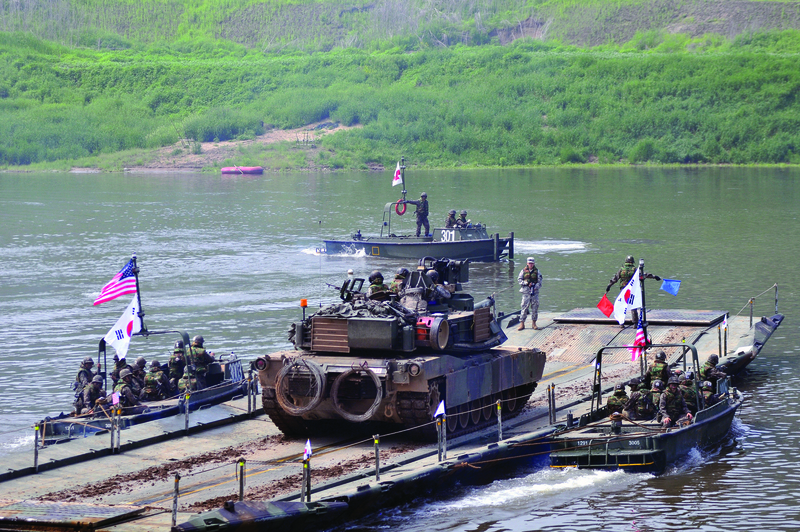 While in Korea, the battalion’s main objective is to improve combat crew readiness on the peninsula through successful integration into the standing division. The integration is designed to provide the framework for future units and increase the number of trained and ready armored forces for the ROK. The unit brings to the area of operations the ability to conduct full-spectrum operations, enabling it to apply combat power through simultaneous and continuous combinations of offense, defense, stability and civil support missions. “The arrival of rotational forces such as 1-12 CAV … enhances the readiness and capabilities of the 2nd Infantry Division to be prepared to ‘fight tonight’ and helps to ensure the security and stability on the Korean Peninsula,” Vandal said. These rotational tours of duty are designed to help soldiers and units maintain their readiness. In addition, the tours provide soldiers a broader, global skill set that they will use in case of future operational contingencies. Following the nine-month deployment, the battalion will return to Fort Hood and another unit will take its place. Its equipment, however, which consists mainly of wheeled and tracked vehicles, will remain in Korea to be used during follow-on rotations. Gen. Vincent K. Brooks is commanding general of U.S. Army Pacific. Previously, he was commanding general of Third U.S. Army/U.S. Army Central. Brooks has also served in many capacities at the national level in the Pentagon. He holds a bachelor’s degree from the U.S. Military Academy and an honorary doctor of laws degree from the New England School of Law in Boston. Lt. Col. Charlie H. Kim is division chief, operations analysis and the Joint Operational Planning and Execution System, Headquarters, U.S. Army Pacific. Previously, he was operations officer for economic development in northern Iraq during Operation Iraqi Freedom. He holds a bachelor’s degree from the U.S. Military Academy and a master of business administration degree from the University of Hawaii through the East-West Center.